I want you to understand the word ‘Ibadah’ in Arabic or the Masdar. 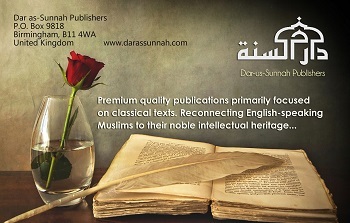 as opposed to classical arabic. there’s confusion left in the mind. completely or comprehensively cover all aspects of ‘Ibadah’ or ‘Uboodiyyah’ are two things. Those are worship and slavery. slavery but there are two separate things in English, but they’re combined in Arabic into the word ‘Ibadah’ and ‘Uboodiyyah’. also I will not be enslaved to, I will not become a slave of. Very briefly I’ll remind you of the difference between worship and slavery. but in between the prayes, what are we? When you’re sleeping you are not worshipping, but you are still a slave. Even if you’re not reciting Quran or you’re not doing an act of worship, but you are still what? A slave. In other words: Worship is specific acts. the act of giving Sadaqa – These are acts of worship. But a slave is a slave all the time – whether he does those acts or not. This concept is very powerful. we are enslaved to Allah in between the prayers, too. ٱلصَّلَوٰةِ ٱلۡوُسۡطَىٰ some commentary says it’s between the prayers – be connected to Allah, too. You know what happens a lot of times? People worship Allah, but they still don’t act like his slave. Somebody owns a liquor store, comes to the Salah for five times. He worships Allah, but he’s clearly not acting like what? A slave. He is not obeying Allah. And sometimes because we have these partial English definitions, you know what happens? No! You worshipped him, but you are still not a عبد of Allah. Worship is one part, slavery is the other – Ibadah includes both. Now the Arabs, they had two problems. But you know what the bigger problem is? They refuse to be Allahs slaves. There are two problems in this Surah. We have to make those problems distinct. What is that a problem of? Worship or slavery? That’s a problem of worship. when they abuse the slave, when they do all of these things, what are they refusing to do? They’re refusing to act like Allahs slaves. Being Allahs slave includes you worship him and you act like a slave. Two things. So know understand the Ayah. لَآ أَعۡبُدُ – I will not be enslaved to and I will not worship what you have been worshipping. In this Ayah the messenger is being told to talk about what they worship and what they are slaves of. So what is it that they worship? And what is it that they’re slaves of? They are worshippers of idols, false gods. And they are slaves of their own desires. 2 things – they worship the idols and they are slaves of their own selves, their own Hawaa, their own Nafs. I refuse both of those things. I Am not, I’m never going to. Let’s give him a compromise. Maybe the future – Makkah has become pretty tense. You know, always this confrontation between the muslims and the Kuffar. Let’ make a compromise. Life will become better. And then we’ll come back to yours the next year and we’ll all share. We all share Islam for a season the we will all share Shirk for a season. There won’t be any tension in Makkah anymore. So our future will be better. More than present, illustrates the future. In other words the messenger says don’t have your hopes up. I am not going to, it’s never going to happen. I will never worship and I will refuse to be enslaved to whatever you worship and you are enslaved to. That is never going to happen. Get that out of your head.